Tummy Tuck surgery is a common treatment here at CSP as everyone dreams of a smooth, flat stomach but if your abdominal muscles and skin have become weak and loose as a result of pregnancy, weight loss and/or the natural ageing process, you may find that no amount of exercise or gym sessions will help you achieve your dream look. Increasingly, both women and men are turning to tummy tuck surgery as a way to combine smooth skin with a flat stomach – thus achieving the body they’ve always wanted. As a surgical procedure the tummy tuck, or abdominoplasty as also known cannot replace a healthy diet and exercise regime but it can bring an end to the misery of excess hanging skin, of a baby bump which just won’t shift despite years of trying and also unsightly stretch marks which make wearing a bikini on the beach impossible. It’s a way of restoring the shape of your youth while boosting confidence and encouraging a whole new, healthy lifestyle. Our surgeons are experts in tummy tuck surgery and delight in seeing the great difference it makes to real people. Our experienced, skilled and reputable surgeons carry out the best tummy tucks, helped by their extensive expertise in body surgery procedures. We will also carefully discuss your expectations and requirements from the operation before you make your final decision so please contact us now on 0207 486 6778 to book a consultation today. If you require more information the please view our FAQ section below. Anyone who suffers the misery of excess fat and skin around their abdominal area could benefit from tummy tuck surgery. 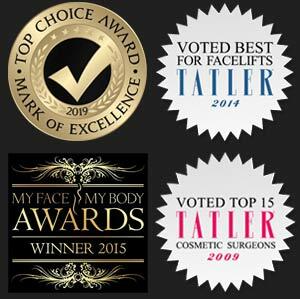 But there’s a lot to consider, and the dedicated surgeons at Cosmetic Surgery Partners will take time and trouble to explain the different surgical procedures, their likely outcomes and the risks involved. We completely understand that this is major body surgery, and no small decision to make. The tummy tuck, or abdominoplasty, involves three basic procedures, which can be carried out as single surgeries or combined with liposuction for even more dramatic results. The standard tummy tuck involves a long cut being made to your abdomen above your pubic area. Excess fat and skin is removed, and stretched and torn muscles are pulled together and stitched into place. Bandages are then firmly strapped around the lower abdomen. Are there any alternatives to having tummy tuck surgery? Unfortunately if you are someone who wants to remove loose and sagging skin around the abdominal region the only option is surgery. Will people be able to tell I have had surgery? Although scarring is inevitable our surgeons pride themselves on creating results that are natural looking with minimal amounts of scarring. Our surgeons will be able to advise you during your intital consultation. Can I remove a C-section scar using tummy tuck surgery? Many of our patients use the Abdominoplasty procedure as a chance to remove or minimise obvious scarring as a result of a caesarean section. 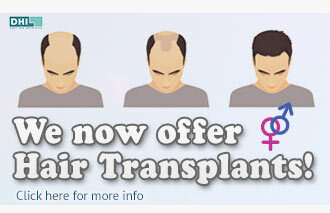 Our surgeons will be able to advise you of your options during your consultation.